Back in 1929, the Montjuïc area of Barcelona underwent one of the biggest renovations in the history of the city, all in order to prepare for the Universal Exposition of Barcelona in 1929. One part of the renovation was the creation of the Font màgica de Montjuïc (Magic Fountain of Montjuïc). The fountain plan was a last minute addition, with plans beginning just one year before the start of the exposition. Many said it was too complicated to complete in time, and perhaps it was because it took more than 3000 workers to complete the project in time for the first show in May 1929. The fountain was created by a Carles Buigas at the foot of what then was the Royal Palace, today the National Art Museum of Catalonia (MNAC). As a local civil engineer, and it happened to be his first project dealing with illuminated water fountains. The concept of an illuminated fountain wasn't exactly a new one at the time, however it's most likely one of the first to do so as part of a regular and synchronized show. The outcome was so spectacular that it was described as a new artistic style, the art of "Agualuz" or "Water-light" in English. Originally, music did not play a part in the show, it was until the 80s that this feature was added. Today there are a total of 15 musical shows from various distinct genres. You can get up to date information on the official page of the fountain Here. Watch our HD Video and share it! 1 November - 6 January: Friday and Saturday - Between 19:00 to 20:30, at 19:00, 19:30, 20:00. 7 January - 18 February: CLOSED. 19 February - 31 March: Friday and Saturday - Between 19:00 to 20:30, at 19:00, 19:30, 20:00. 1 April - 28 May: Friday and Saturday - Between 21:00 to 22:30, at 21:00, 21:30, 22:00. 1 September - 31 October: Friday and Saturday - Between 21:00 to 22:30, at 21:00, 21:30, 22:00. 1 June - 31 August: Thursday to Sunday - Between 21:30 to 23:00, at 21:30, 22:00, and 22:30. 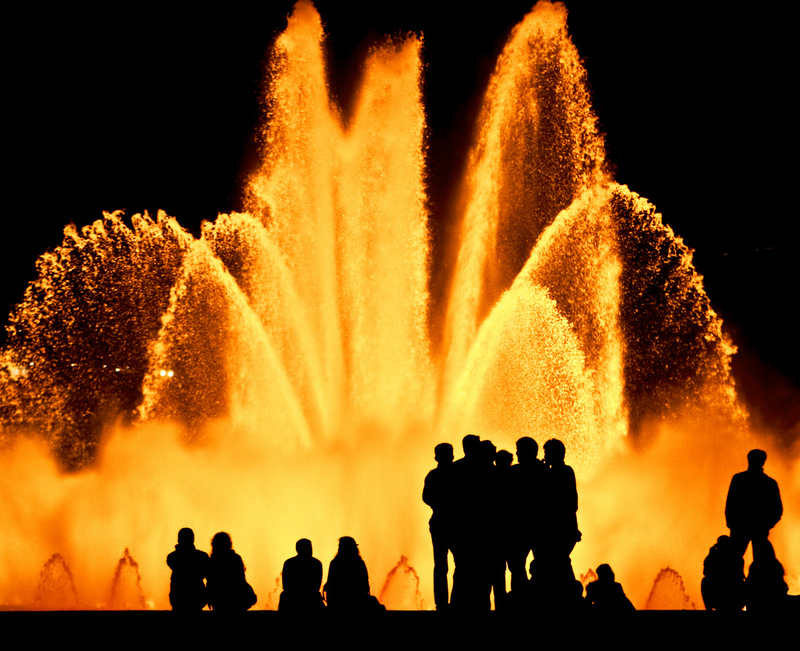 Accommodation nearby: Take a look at our apartments nearby the Magic Fountain of Montjuïc here.